Home / bulk / Bulk Download / BYTubeD / Download / DownThemAll / Firefox / Linux / Mac / Tip of the Day / Youtube / Youtube Downloader / How to bulk download Youtube videos from playlists or channels (Windows, Mac, and Linux). 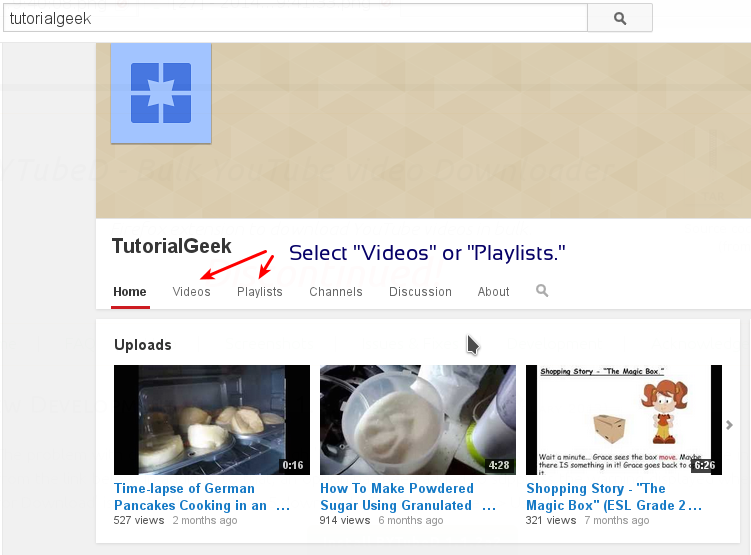 How to bulk download Youtube videos from playlists or channels (Windows, Mac, and Linux). Update: (2015-07-07) BYTubeD no longer seems to be working (making this post obsolete). A fantastic replacement however is youtube-dl. Please click this link to find the download links for youtube-dl along with basic info on the software. While many programs have been created to help you download Youtube videos, most of these programs do not allow you to download an entire Youtube channel or playlist. It turns out that doing this is actually quite easy and only requires a browser you most likely already have (Firefox) and a couple of add-ons (BYTubeD and DownThemAll). Because Firefox is cross platform compatible, this means you can do this in any OS (which is great for people like me who use Linux). If you do not already have Firefox, go ahead and download it. 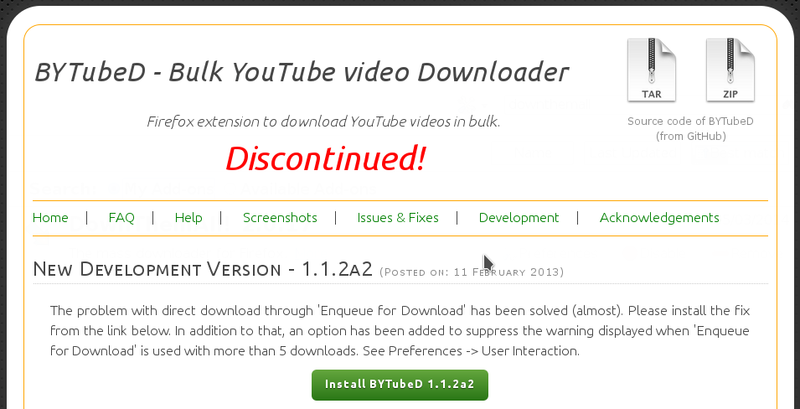 After you have Firefox running go to the download page for BYTubeD and download and install the add-on. I should note that at the time of this writing (2014-11-19) the website says the extension is discontinued and may not work. It is currently working fine but of course there is always the possibility that this may not work in the future. After you have installed BYTubeD, you will need to go to your Firefox Add-Ons (Ctrl+Shift+A) and download and install DownThemAll! You can find it by doing a search for "DownThemAll" in the search bar. With these two Add-ons installed, you are ready to download. Go to the Youtube page or channel you would like to download videos from. Select either "Videos" (to download all the videos in the channel) or "Playlists" to download only the videos in the playlist. 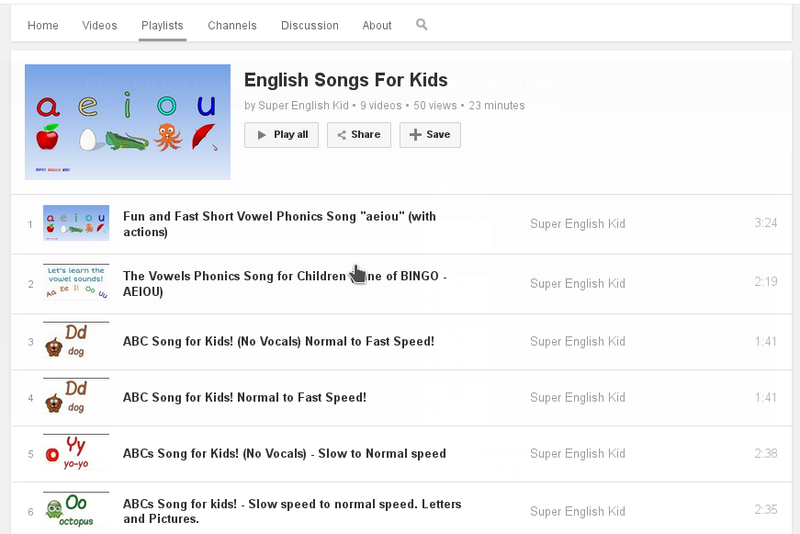 I will use my Youtube channel from my English teaching website Super English Kid for an example. Once you have clicked on the playlist link you will see a page like this. The playlist will default and start playing the first video in the playlist. We don't want this. Make sure you click on the playlist name on the top right corner to go to the page with ONLY the playlist videos. When you are on the playlist page you can right click on the screen and select the BYTubeD option. 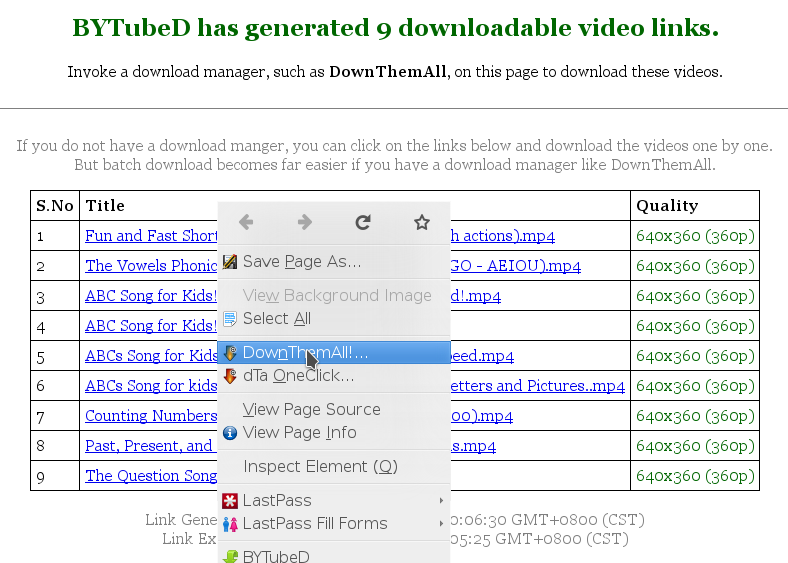 The BYTubeD add-on gives you many options that are labeled in the program so I will not go into details. Basically you just select the video format and quality and make sure that in the "What to do?" drop down menu you select "Generate Links." This is not absolutely necessary but it will make your life easier and ensure that you can download the video files without errors or incomplete downloads. Select all of the files and your download location then press the "Start!" button. That is it. You are done. Now you just wait for the downloads to finish. The great thing about using DownThemAll is that if you have a spotty or slow internet connection (like me in China) then you can resume the downloads even if there are timeouts or server errors. BYTubeD is not working anymore... What is an alternative? You are right... thank for the info. I am going to start looking into an alternative. I have been looking for a while but have not had any luck. I will reply to you (and probably update this post) if I can find an alternative. Good news! I found a solution. Youtube-dl works! I am using it now. I will probably do a tutorial on this soon. In the meantime here is the download link for youtube-dl and here is the download link for a GUI for youtube-dl. I'd recommend acethinker video downloader to you, my favorite choice to download YouTube videos. 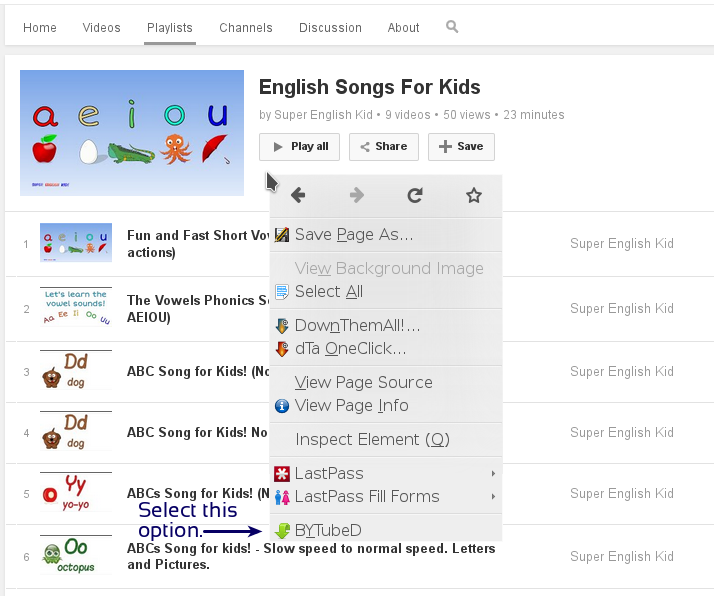 It is a free cloud based software to download videos without install any software in your pc. Here is a post about youtube-dl. I would like to share tutorials about downloading youtube video using vlc with step by step . Great news! Thanks for sharing the link. I'm using Youdownloader by https://youdownloader.net/ to download videos from Youtube for free.